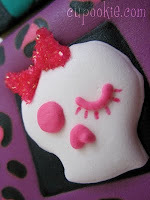 Cupookie: girls like skulls too! i had some fun with some skulls i made as royal transfers. 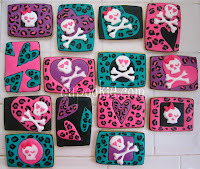 whipped up some cool colors....black, teal, purple & pink and went to town with some leopard print & hearts. what girl doesnt like that? 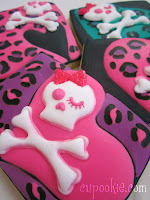 i think they came out pretty cool. 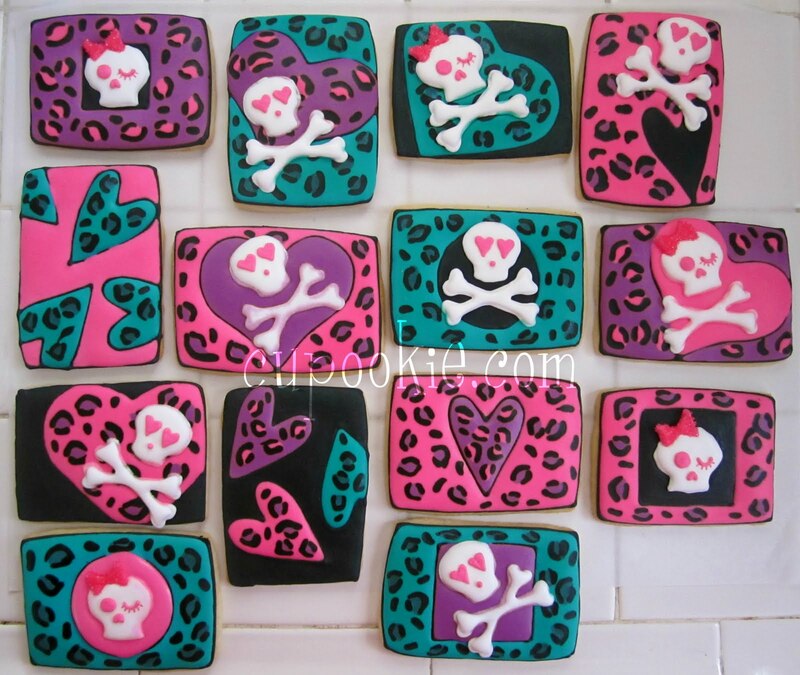 girly punk cookies i like to call em.